“Brine, wine and stunning waterfront panoramas are coming to The Yards as the ink dries on Forest City Washington’s newest lease signing. Tenured Washington, DC restaurateurs and friends August Paro and Elias Hengst, founders of Beuchert’s Saloon and Sonoma Restaurant & Wine Bar, respectively, and Forest City Washington are excited to jointly announce the addition of The Navy Yard Oyster Company. The new oyster and wine bar is the second joint project by Paro & Hengst and will occupy a 1,887 square foot waterfront/parkfront space on the south side of the historic Lumber Shed building at The Yards, featuring stunning views of the southeast waterfront and Yards Park. Opening is planned for Spring 2015. The Navy Yard Oyster Company will occupy a soaring, two story, light-filled space capped by the 40-foot, exposed roof truss work of the historic original Navy Yard building. 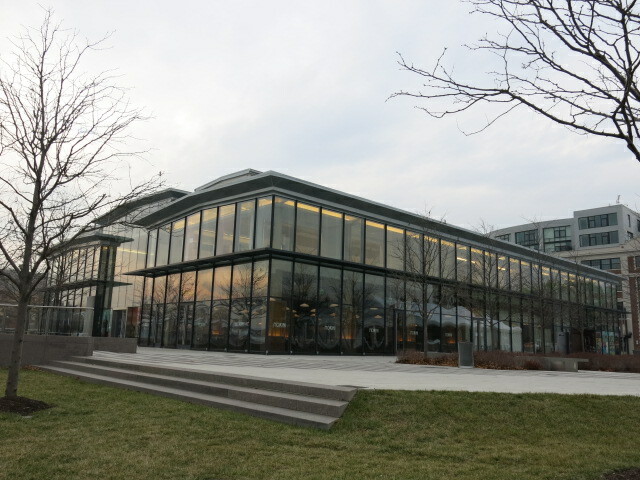 The restaurant design is inspired by the building’s ties to US Naval history, Washington, DC, and to the water itself. he Navy Yard Oyster Company menu is inspired by the waters of the Chesapeake and the Mid- Atlantic foodshed, and the ingredients will reflect the partners’ well-established commitment to sourcing seasonally and locally. Oysters from Rappahannock and the Bay will be highlighted, but the selection will also feature well known East Coast and West Coast oysteries. The extensive by-the-glass wine list will be comprised of a thoughtful, accessible selection of oyster and seafood-friendly whites and roses, uncommon reds, and a special section of Champagne and sparkling wines designed to be paired with specific oysters of different provenances and flavor characteristics. The Navy Yard Oyster Company will also feature list of classic cocktails, highlighting selections from the burgeoning local distiller movement in DC, Virginia, and Maryland. A locally-focused beer menu will offer something for fans of DC and regional breweries. The Navy Yard Oyster Company will serve lunch, dinner, and weekend brunch. The partners have personally curated the design materials and fixtures and will be fabricating much of the interior by hand. Through road trips across the Mid-Atlantic and East Coast, they have built a collection of antique tiles, rough lumber, period fixtures, and raw steel which will dovetail with the building’s original design.